I had a fantastic time at the Tower of Dawn Waterstones event on Wednesday. Sarah J Maas and Samantha Shannon were both absolutely lovely and we heard so many interesting stories from Sarah. These are some of my favourite parts of the event. All of this is paraphrased from my hastily scribbled notes, so all errors are my own! The photographs for this post were taken by my lovely friend Holly (who you can also see in one of them). You can find her on Twitter (@HollyStorm) or Instagram (sardothianqueenc). It turns out that Tower of Dawn was supposed to be a novella about Chaol. After a frenzied week of writing, Sarah had a 100,000 word draft! This doubled over the 9 months that she worked on the book. The timeline runs parallel to Empire of Storms and then Tower of Dawn goes further. A Court of Frost and Starlight is coming out in May and it'll be about 60,000 words rather than a full-length novel. Nesryn has become one of Sarah's favourite characters. Tower of Dawn gave Sarah the opportunity to explore epic fantasy and the southern continent through Nesryn's eyes. She always knew Yrene would come back and it was so hard to wait for her! Yrene's strength is quieter and there's something soothing about writing her voice. Chaol's story was one of hope and healing. He starts at a low point, which Sarah has been planning for a while. To do this story justice, Sarah couldn't have squeezed it into Empire of Storms. As Chaol is in a wheelchair, Sarah wanted to approach his story respectfully. She did a lot of research and read stories about wounded veterans. She has sensitivity readers and wanted to make it as accurate as possible. The world building was quite different for Tower of Dawn. Sarah's known for years that it would have a Mongolian Empire feel but it's not a historical novel. Sarah is fascinated by Genghis Khan. In his empire, there was free, almost universal education. They also had a policy of religious tolerance. Sarah was raised by women with different kinds of strength. She told a fascinating story about her grandmother, who was a holocaust survivor. She was a Jewish child in Nazi Germany. Her family had tickets to England before the borders closed but her mother decided not to leave Germany because their family was there. Sarah's grandmother remembers her father being taken one night by the Gestapo, and they didn't find out what happened to him until after the war. Sarah's great grandmother got the children into an organisation that smuggled children out of Germany and put them on a train. After living with a Belgian family, Sarah's grandmother ended up in the south of France. She refused to get on a boat to America until they found her brother. He ended up being only a couple of miles down the road. It wasn't until they saw the Statue of Liberty that she knew she was safe. She didn't know what happened to her parents, but eventually, her father found them. Her mother had sadly died during the war. Sarah said she felt honoured to tell her grandmother’s story, and is proud to be the granddaughter of an immigrant. Tower of Dawn is dedicated to her grandmother. Yrene is not based on her grandmother exactly, but bits of the story are hers. Yrene feels a moment of connection to the women who came before her, and one of the these women has Sarah’s great grandmother’s name. I've told this story pretty much in full because it really moved me, and I was touched how open Sarah was about her family's history. Sarah’s grandma is her favourite person. She’s 87 now, and a tiny little lady. Still, she’s full of life, energy and curiosity despite the horrible things she went through. She still travels the world and wants to see everything. Sarah has learnt from her that it’s important to live life with your eyes and your heart open. Sarah explained that she rarely gives bits of herself to a character, but she did give Aelin her hatred of fish! When Sarah wrote Heir of Fire, she realised that she started to like fish and now Aelin does too! Samantha and Sarah discussed where in the world they would like to visit. Samantha would love to go to Venice, and to see the Northern Lights in Iceland. Sarah wants to visit Patagonia. When she travels, she likes to feel part of the hustle and bustle or visit places where no one is around. In response to a fan’s question about accents, Sarah said that everyone in her head has the 'Lord of the Rings accent'. She jokes that whatever accent you imagine is the ‘hottest possible accent’ is the accent they have. There was also a question about wedding scenes. Sarah learned when she was in high school that Jane Austen never wrote a wedding scene. Sarah tried in an early draft of A Court of Wings and Ruin and it was so cheesy! She has a plan for a spin-off book that may or not contain a wedding scene. Apparently, her husband didn’t inspire any characters (despite popular rumours that Rhys is based on him). She said that when writing about Feyre and Rhys, she felt it was true love, which she could only write because she has it. Sarah feels lucky to have a partner that loves and respects her. For the last book, Sarah has figured out when to bring familiar characters into the story when they will have the most impact. To prepare for writing the last book, she reread the series for the first time as published books. I really appreciated Sarah and Samantha both being so candid during the event, and found both of them fascinating to listen to! I can’t wait to read Tower of Dawn, and all of the other exciting books to come from Sarah and Samantha in the future! Cherry has a hidden talent. She can see things other people can't and she decided a long time ago to use this skill to help others. As far as the rest of the town is concerned she's simply the kind-hearted young woman who runs the local bakery, but in private she uses her gift to add something special to her cakes so that after just one mouthful the townspeople start to feel better about their lives. They don't know why they're drawn to Cherry's bakery - they just know that they're safe there and that's how Cherry likes it. She can help them in secret and no one will ever need to know the truth behind her gift. And then Chase turns up and threatens to undo all the good Cherry has done. Because it turns out she's not the only one who can see what she sees . . . This book is based on a unique premise and overall I found it a charming, uplifting read! The idea behind All that she can see is really sweet and creative. My favourite part of the book is the first half, as it has a kind-spirited feel that made me feel really happy! Cherry is likeable and her desire to help people genuinely moved me! Her optimism seems endless, and the book made me consider how we all have things going on beneath the surface that others might not be aware of. It made me think a lot about empathy and the power of emotions. I enjoyed the plot of the book as a whole but I found the shift in tone towards the end a little jarring. As a result, I didn't feel quite so engaged by this part of the story. In a way, I would have preferred it to stay with the small town politics and interactions, as this was the part of the book that really grabbed me. This was an engaging, enjoyable read and I'll definitely seek out more books by Carrie Hope Fletcher in future. I'm a huge Joe Hill fan, so I was thrilled to receive Strange Weather. I loved the fact that this book has a thread running through it, but at the same time has so many different elements to offer. At different points, I was disturbed, moved, amused and even angry. This is a thought-provoking, very topical book, and it draws skillfully on several genres to create something that feels very unique. I connected strongly with all four stories. I've intentionally not included the full blurb for each of them, because for me it was great to go into this book without knowing too much about it. Each of the novels is unpredictable, gripping and different in its way, and they had some unsettling things to say about modern society. The voice of Joe Hill's writing is incredible. Somehow, each story has a completely distinct voice that perfectly suits its plot. There were a few unifying elements that I really enjoyed, including the use of humour, pop cultural references, and visceral descriptions. I also really responded to the characters in this book. All of the events were filtered through their views of the world, and I found something to like (or despise) in all of them. This is a gripping, smart book, and I'm having to resist rereading it immediately. If you liked the sound of this, now try The Fireman by Joe Hill. From the present day . . .
Applecote Manor captivates Jessie with it promise of hazy summers in the Cotswolds. She believes it's the perfect escape for her troubled family. But the house has an unsettling history, and strange rumours surround the estate. to the fifties . . . 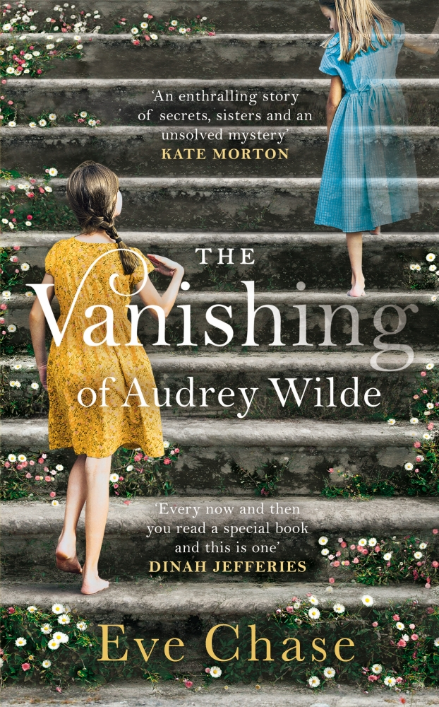 When teenage Margot and her three sisters arrive at Applecote during the heatwave of '59, they find their aunt and uncle still reeling from the disappearance of their daughter, Audrey, five years before. The sisters are drawn into the mystery of Audrey's vanishing - until the stifling summer takes a shocking, deadly turn. Will one unthinkable choice bind them together, or tear them apart? Step back in time for a richly evocative mystery, where the beauty of a Cotswolds summer is vividly contrasted with the violence which shatters it. I seem to have read a lot of books about missing people recently. This book stands out above the rest, and has so much more to it. 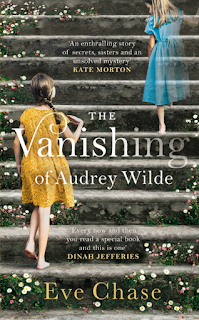 The Vanishing of Audrey Wilde is a gripping story about sisters and coming as age, as well as an intriguing mystery that blends the past and present. One thing I loved about this book is how richly descriptive it is. I'm a massive fan of books set in stately homes and I thought this book captured the past and present settings really well. This book also has incredible plotting, with alternating voices and stories that I found equally engaging. The use of the first and third person for the two narrators worked really effectively to distinguish them. The plot develops slowly, but this really works as the truth unravels gradually. This allowed me to try to solve the mystery, and gave plenty of opportunities to explore the interesting cast of characters. This was a captivating book that I'd recommend to fans of historical fiction and intriguing mysteries. If you liked the sound of this, try The Roanoke Girls by Amy Engel. For nearly a century, the Nomeolvides women have tended the grounds of La Pradera, the lush estate gardens that enchant guests from around the world. They've also hidden a tragic legacy: if they fall in love too deeply, their lovers vanish. But then, after generations of vanishings, a strange boy appears in the gardens. The boy is a mystery to Estrella, the Nomeolvides girl who finds him, and to her family, but he's even more a mystery to himself; he knows nothing more about who he is or where he came from than his first name. As Estrella tries to help Fel piece together his unknown past, La Pradera leads them to secrets as dangerous as they are magical in this stunning exploration of love, loss, and family. Anna-Marie McLemore has become one of my favourite authors, and everything about her books really sets them apart. The writing is beautiful, the characters feel real and her plots are so stunningly original! Like The Weight of Feathers and When the Moon was Ours, Wild Beauty is a delight for the senses and there's such close attention to detail. There's no other book where the setting and characters are so strongly evoked. On every page, it feels like I can smell the flowers and the delicious-sounding foods. These books usually make me hungry! Anna-Marie McLemore writes complex, well-developed and diverse characters like no other author. Somehow, I felt like I knew all of the sisters and older generations of Nomeolvides women, even though it's such a large cast of characters. The plot of this book is stunning, and I think I went through every emotion when I was reading it. It's such a unique idea and this meant I couldn't tell where the story was going at all. For me, this a flawless book and I read it really slowly because I wanted it to last. While I wait for Anna-Marie McLemore's next book, I think I'll reread the others. If you liked the sound of this, try The Weight of Feathers and When the Moon was Ours. Follow the links to check out my reviews! I haven't read much YA fantasy recently because it often feels quite similar. This book has some features in common with other YA fantasy, but it also has a fresh perspective that made the story feel unique and interesting. The concept of this book is brilliant. The power of the ruling classes in fantasy is a familiar idea, but Everless took this to a new level. It was a gruesome and disturbing idea that people in need could sell their time, and this interesting premise underpinned the whole plot. Another thing I liked about this book was that the plot and characters surprised me. Not everything or everyone turned out how I expected, and that doesn't to me very often! I liked Jules as a character. She didn't just get swept along by the world; she had agency and she wasn't afraid to stand up for herself as others. This is a fresh new take on YA fantasy and a compelling start to a trilogy. How long do we have to wait for the next book? If you liked the sound of this book, now try Ruined by Amy Tintera, which I reviewed here.